It’s no secret that the vast majority of life insurance companies require a medical exam when approving your policy, but what do life insurance physicals test for? When applying for $100,000 or more life insurance, most companies will set up a free in-home or in-office medical exam to make sure to help determine your mortality risk over the years you’re insured. In this article, we’ll explain what life insurance companies test for during your free exam, and we’ve provided a few insider’s tips to help you get the best results. 1. What Do Life Insurance Companies Test During an Exam? 2. Is the Life Insurance Exam Necessary? 4. Should I Lose Weight Before I Apply? 8. How do I Get the Best Cholesterol Results? What Do Life Insurance Companies Test During an Exam? During your free in-home exam, a licensed nurse or phlebotomist will measure your height, weight, blood pressure, and obtain a small blood and urine sample. If you’re over 50 and applying for more than $1,000,000 dollars of life insurance, the examiner may also administer a mobile EKG test. The cost of your free in-home exam is covered by the life insurance company you apply with, and even if you decide not to purchase a policy, the life insurance company will not charge you. After you complete your exam, a copy of the results will be sent to the life insurance company’s underwriter to review along with your application and medical records. Most life insurance companies also mail you a copy of your exam results a few weeks after the you meet with your examiner. These tests are designed to detect the same abnormalities a doctor would test for during an annual exam, so we recommend forwarding a copy of your lab results to your physician to avoid paying for lab tests or giving blood again at your next physical. If you can’t stand the thought of giving blood, or don’t have time to complete an exam, don’t worry! Many life insurance companies also offer up to $500,000 of “non-med,” or no-exam, term life insurance to applicants in fair or better health up until the age of 70. In fact, one of our top-rated carriers will even offer up to $2,500,000 in term coverage to applicants under the age of 65. If you’d like to learn more about no exam life insurance, and don’t mind paying a few extra dollars a month for convenience, please read our article for life insurance without an exam to learn more. A handful of top-rated companies we represent are competitively priced with companies that require an exam, especially for applicants under the age of 60 that are in excellent health. Is a Life Insurance Exam Necessary? Life insurance companies have the task of determining an individual’s mortality risk and the corresponding cost of their life insurance. Mortality risk is assessed by evaluating an individual’s age, gender, health, family history, and lifestyle. If you’re relatively healthy and you see your doctor regularly, you may be able to avoid an exam. However, if you have a few health issues, or if you haven’t been to the doctor for a while, you’ll probably need to complete an exam to secure an affordable life insurance policy. This is because the exam results provide a “snap-shot” of your health, which allows an insurer to be precise in estimating their risk of paying a death claim. Completing lab work also helps differentiate between an individual that represents no risk, a minimal risk, a moderate risk, or a high risk. This allows each insurer to offer more competitive rates. When determining an applicant’s “risk”, most life insurance companies use a scale with 12-16 different rate (or risk) classes. Essentially, these rate classes are based on the statistical risk of the life insurance company paying a death claim, and they are usually based on the insurer’s history of paying claims and other mortality statistics. If you have current or past health issues, it doesn’t necessarily mean you’ll be denied life insurance. Underwriters can also assign a “substandard rate,” or table-rate, to applicants with health issues. Most life insurance companies assign a “Table 2”, Table 4”, “Table 6” or “Table 8” rate class depending on your health issue. The higher the table number, the higher the risk. Other factors affecting your “risk class” can include current or past medications, citizenship, upcoming travel to a dangerous location, hazardous hobbies or occupations, criminal history, and traffic citations or history of DUIs. Fortunately, most life insurance carriers are very lenient with traffic history, and most occupations are not considered to be hazardous. Over the years we’ve worked with many police officers, firefighters, truck drivers, and commercial pilots in excellent health that have been approved at the preferred best rate class. Your life insurance examiner will bring a scale to measure your height and weight, or your “build.” Don’t worry, you don’t have to look like a supermodel to get the best rates. Many life insurance companies will offer their top rate class to someone who is up to 40 pounds overweight as long as they’re in overall good health. If you’re more than 40 pounds overweight, we’ll shop more than 60 companies to find your best option. Some companies may even offer underwriting credits to improve your rate class if your in great health or exercise regularly. In addition, most of us get heavier as we age, and some companies will offer additional leniences to applicants after the age of 60 or 65. Below we’ve provided an example of one of our “A+” rated company’s height and weight charts for their “preferred best” rate class. We’ve also illustrated the additional leniences they offer after to applicants after the age of 65. *Sample height and weight guidelines are accurate as of 11/14/2017 and are provided for illustrative purposes only. Should I Lose Weight Before I Apply? We never recommend losing weight for a life insurance exam. When you apply, your application will ask if you’ve lost more than 10 pounds in the past 12 months. The insurance company will also compare your weight on the day of your in-home exam to your weight during your previous doctor’s visit (or visits). 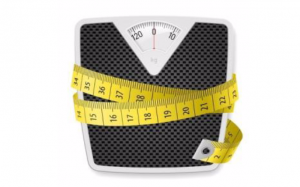 If you’ve lost more than 10 pounds within the past 12 months, they will add half of the weight you’ve lost to your recorded weight on the day you completed your in-home exam. Why would my insurance company penalize me for losing weight? Statistically, most people will regain at least half of the weight they’ve lost within 12 months of losing it. In addition, as we get older, we tend to have more health issues, so waiting to buy life insurance is never recommended. We all have great intentions when it comes to getting back into shape. However, when work, children, and family obligations take over, finding time for the gym isn’t always possible. A better strategy is to secure life insurance for you family’s protection at your current age and health. If you are successful in reducing your weight, contact your life insurance agent and they’ll be able to determine if it’s worth reapplying in hopes of saving money. Keep in mind that after age 50, every year you wait to buy life insurance it increases in cost by 10-15%. In other words, A healthy 52 year will probably pay more than an equally healthy 51 year-old that is 30 pounds heavier. Rapid weight loss can also temporarily affect your lab results too. Supplements and rigorous exercise can stress your organs causing abnormal potassium, magnesium, sodium and copper levels. To learn more about this, please read our article about “How Does My Weight Affect My Life Insurance Rates?”. Our recommendation is to weigh yourself for accuracy and share your weight history with your agent. With over 60 top-rated life insurance company’s height and weight charts to choose from, we’ll match you with the best for your build, health history, and other risk factors. Our job is to get our clients APPROVED with the “A” rated life insurer that offers them the best personal value. While a blood pressure reading of 120/80 may be “ideal,” a reading as high as 136/86 will not prevent someone in good health from qualifying for preferred best rates, even if you take a blood pressure medication. Underwriters consider blood pressure medications to be preventative and they rarely penalize for it as long as it is working and your dosing is consistent. If you have elevated blood pressure of up to 156/94, you can still qualify at a standard rate class with some companies. Remember, you don’t have to be an Olympic athlete to qualify for affordable life insurance. You’re being compared to your age population group, and in the US, half of the population has a blood pressure reading in this range. This is another example of why it’s better to work with an independent agency rather than a local agent. Every insurance company has its own unique underwriting guidelines and we represent 63 top-rated companies. If your blood pressure tends to run high, let your agent know. This will help them match you with the company that is the best fit for your unique health profile. Stress and anxiety can cause your blood pressure to rise, so relax. Our examiners are mobile and they will come to your home or office, free of charge, to help you avoid the stress of traffic and finding directions to the lab. Most of our clients choose a morning exam, and our mobile examiners are usually available on Saturdays and Sundays. • Schedule your exam in the morning. Our blood pressure is normally at its lowest in the morning, before breakfast or coffee. • Get a good night’s sleep and fast for at least 8-10 hours for the best results. For most of our clients, fasting is much easier when they are sleeping. • Avoid coffee and energy drinks for at least 12 to 24 hours prior to your exam. Caffeine can cause your blood pressure to temporarily rise. 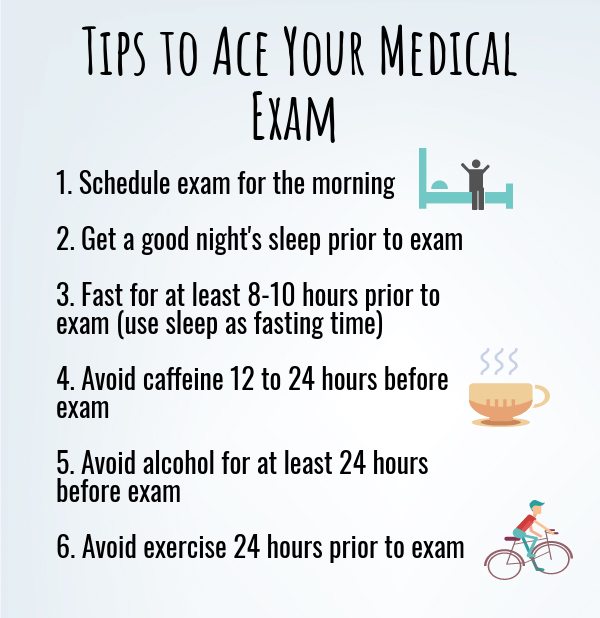 • Avoid alcohol for at least 24 hours prior to your exam to avoid irregular lab results. • Avoid exercise for 24 hours prior to your exam. A hard cardio workout or weight lifting can trigger false results that are not in your favor. The nurse will normally take three different blood pressure readings and average the results. If you experience “white coat syndrome”, let your examiner know. The nurse may run additional readings during your exam when he or she sees that you’re more relaxed. Insurers will collect a blood sample to measure your cholesterol, blood sugar, liver, kidney, and pancreatic functions. Like blood pressure, most companies are fairly lenient with your overall cholesterol number, even if you take a medication. Some companies may even offer “preferred best” rates to applicants with a total cholesterol or 300 less. Most life insurance companies are primarily focused on your “HDL ratio” which is calculated by dividing your total cholesterol by your HDL number. Here’s an Example: If your total cholesterol is 225 and your HDL is 56, your cholesterol to HDL ratio is 4.01. A cholesterol ratio of 5.5 or less will probably qualify you for the second best rate class of “preferred,” while a 6.6-8.0 ratio will most likely fall into a “standard risk” category. Remember, not all companies offer the same leniency with cholesterol. As an example, State Farm will not offer preferred best rates to applicants who have a total cholesterol over 180, regardless of their ratio. In addition, some companies will not offer their top rate class to applicants who take a medication to control their cholesterol. 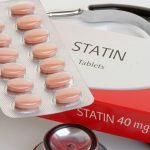 How Do I Get the Best Cholesterol Results? Elevated cholesterol is difficult to correct dramatically in a short period of time unless your doctor prescribes a cholesterol medication. You can, however, improve your results by avoiding fatty foods the week of your exam. Insurance physicals are fasting exams, so its always best take on an empty stomach. It also important to drink plenty of water; hydrating will also improve your blood pressure. If your HDL/Cholesterol ration is above 5.0, your doctor will likely speak to you about an improved diet and exercise regime to reduce your cholesterol. They may also prescribe a medication to help you control your cholesterol. Please note: Most cholesterol medications take three to six months to reduce your cholesterol. If you recently started a cholesterol medication, we recommend waiting at least three months before you apply. When approving an applicant for life insurance, the company will test your blood to evaluate your pancreatic function and to test for HIV. Your blood sugar levels are controlled by your pancreas, which produces insulin, our body’s hormone to control blood sugar. Fructosamine levels reflect your blood sugar levels over the previous two-three weeks and should be between 1.5 and 2.5 for the best rate class. In addition to measuring your fructosamine, the life insurance companies will also evaluate your Hemoglobin A1c or glycohemoglobin score. The A1c test is reflective of your body’s pancreatic function and blood sugar levels for the previous three months. For life insurance purposes, an A1 of 5.9 or less is generally required for “preferred best” rates. If you’re A1c falls in the 6.0 to 6.5 range, a “standard” or average rate class is the best rate you’ll be able to qualify for unless you’re over the age of 50. 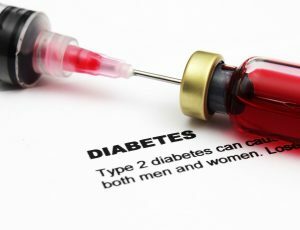 Life insurance underwriters consider diabetes to be a progressive disease and even the slightest elevation in blood sugar will negatively affect a person’s health over time. How do I get the best blood sugar results for my exam? Though diabetes can be caused by genetics, blood sugar control and reduced risk of “Type II” diabetes is typically achieved through diet and exercise. It’s not something which can be changed quickly without medication. For best results, eat healthy and take your exam in the morning, when your blood sugar levels are generally lowest. When testing your urine, life insurance companies are primarily evaluating your liver and kidney functions. Particular enzymes indicate infection, kidney/liver disease, hepatitis, illicit drugs, or extensive/extended alcohol use. The most common reason we see applicants declined for urine related labs is due to elevated creatinine levels. Creatinine is an enzyme which can indicate kidney disease, but can also be temporarily affected by dehydration or even extreme exercise. To avoid these potential issues, it is advisable to drink plenty of water before your exam and avoid intense exercise. Other indicators of kidney disease include elevated microalbumin and proteinuria. In addition, your BUN, or blood urea nitrogen levels, are also tested to determine your kidney health and function. An elevated GGT or ALT number often indicates alcohol use. If you’ve been treated for alcoholism in the past, the underwriter will pay special attention to these numbers to determine your current risk or indications of liver damage. A highly elevated GGT or ALT will cause your application to be declined. For best exam results, it’s advised to avoid alcohol for at least a few days (a week is optimal) prior to your exam. We have a handful of carriers that will overlook an elevated enzyme if other labs are good. Some clients, including those from Mediterranean descent, often have higher than normal levels due to genetic makeup. If liver and kidney issues have caused your life insurances to be high, give us a call. We can help match you to the best carrier available. If you’ve been declined (turned down) for life insurance in the past, you’re options may be limited, but we’ll compare guidelines form dozens of companies to see what’s available. If you have severe health issues, you may be limited to $5,000 to $25,000 of Guaranteed Issue life insurance with “no questions asked.” While these policies will overlook your health issues, they are only available to applicants aged 50-80, and they have a two-year waiting period. In addition to evaluating your liver and kidney functions, urine is also tested for other byproducts that indicate use of tobacco, marijuana, and medications. As an example, cotinine levels are evaluated to determine whether or not you’re a tobacco user. By evaluating the level of cotinine in your system, life insurance companies can rule out a smoker versus someone who was exposed to secondhand smoke. If you’re a tobacco user, it’s best to be honest and accurate with your insurance agent. We know which insurance companies are most lenient for chew, snuff, cigars, marijuana, and electronic cigarettes. 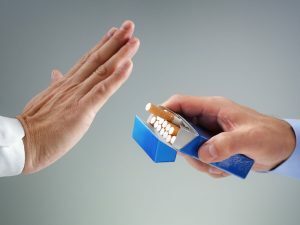 You’ll likely be surprised to learn you could possibly qualify for “non-smoker” or “non-tobacco” rates just by being placed with the appropriate insurance company. Please read our article on the guidelines for non-smoking life insurance rates for tobacco users. Marijuana use will not prevent you from being insured, but again, its important to provide full disclosure up front. Some insurance companies are much more lenient than others as long as you’re honest with them. The most aggressive rates are available to applicants who ingest or smoke marijuana twice a week or less. If you have medical marijuana card, some companies will even overlook your marijuana usage altogether. Along with your exam results, life insurance companies will ask about your occupation and hobbies to determine whether or not they are hazardous. For most applicants, this is a non-issue, but if you are an avid skydiver or a member of the SWAT team, it will likely affect your life insurance rates. Other factors life insurance companies evaluate is criminal history, driving records, history or treatments for drug or alcohol abuse, mental instability, future or past travel, and bankruptcy history. Please note that life insurance companies legally discriminate by determining whether an applicant is an acceptable risk. The overriding theme is that each life insurance company sets its own rules, and most companies offer a specific niche where they are more lenient than others. This is another reason why you’ll benefit from the help of an independent life insurance agency working on your behalf. Applying for life insurance is free, and you pay nothing for an independent agent’s service and help. They’re compensated by whichever life insurance you buy your coverage through. At Term Life Advice, we work with 63 highly-rated and aggressively-priced life insurers to make sure we always find our client’s the best value for their specific life insurance needs. Call us today, you’ll see why our client’s often refer their friends and families. Our agents do not have quotas or shareholders to answer to, our goal is to spend our time with each client and provide them with the help they need. We can be reached toll-free at: 855-902-6494 or you can request a free life insurance quote below to instantly compare quotes from dozens of top-rated companies. I’m 63 and shopping for $100,000 do I have any options for life insurance without a medical exam? Hi Bruce, thank you for your comment. We work with a handful of “A” rated companies that offer term life insurance without an exam until age 65 or 70. If your shopping for whole life insurance without a medical exam, we may have options until age 80 or 85 depending on your health. Please free free to give us a call for an accurate quote: 855-902-6494.